Go Access Ltd are here for your access needs. 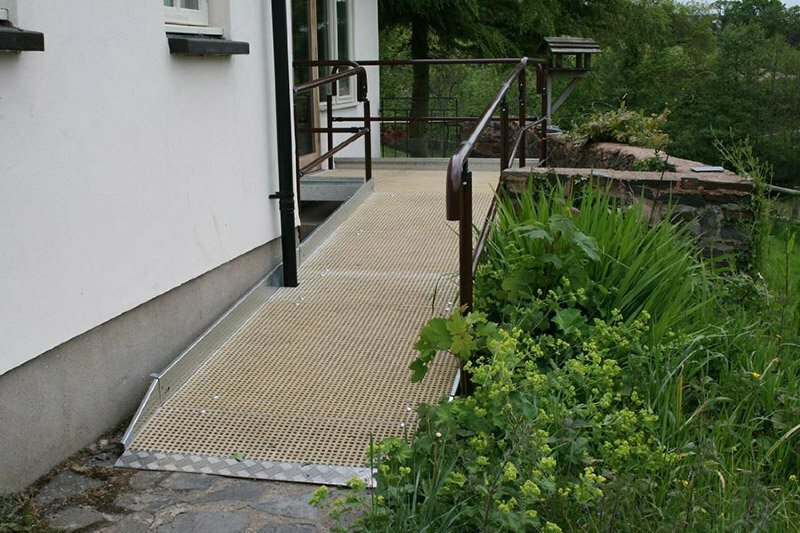 We operate nationwide and offer a no obligation site survey for disabled ramp and step installation. Our experienced assessors will accurately measure the area and location for the ramp/steps and then provide estimates and drawings. Please contact us for more information. 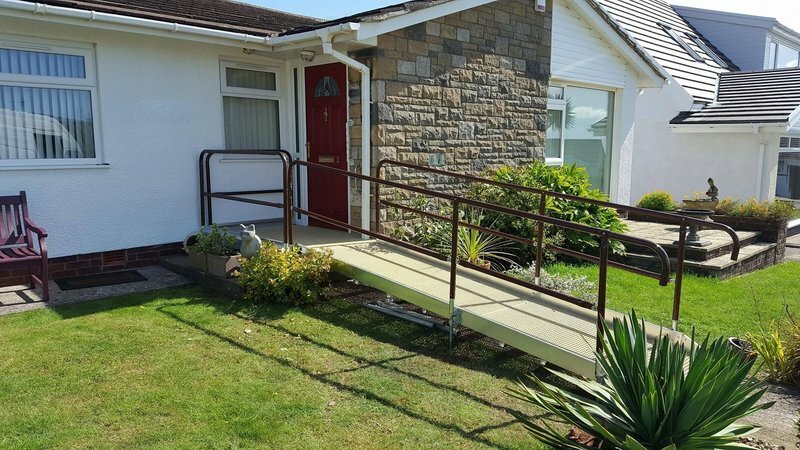 We supply the most adaptable range of disabled ramps and disabled steps for wheelchair and less-abled use. We look forward to speaking to you, for more details about our work please go to our website. Both the estimator & the constructor, were full conversant with their products & helped me overcome any problems. The two fitters were on time, polite, did a good job with no fuss or bother. I would highly recommend them. Prompt arrival and worked in a timely matter. Ramp makes my disabled daughters life easier. More independence, due to being able to access the back garden safely. Happy with the work done. Contractor was efficient. I contacted Go Access and spoke to their MD & Partner Chris, who made an appointment to view in a few days. He arrived promptly & measured up & gave me a detailed design description. 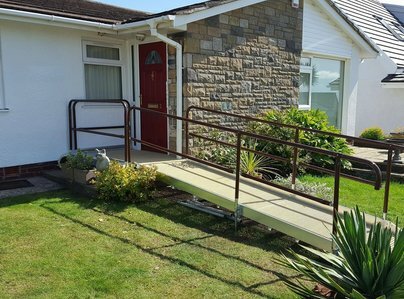 He had driven 60 miles and returned to base and telephoned me a quote and exact price & arranged a date for the work to build a modular ramp to our specifications. On the day, Craig, the obviously experienced 'fitter' arrived on time & commenced work & continued in sunshine, rain, hailstones & snow, stopping only to dress appropriately against the elements until he completed the job in about 3 hours - excellently. Quick, polite and even better than I hoped for in appearance and safety. Wonderful job! can't wait to start using it. 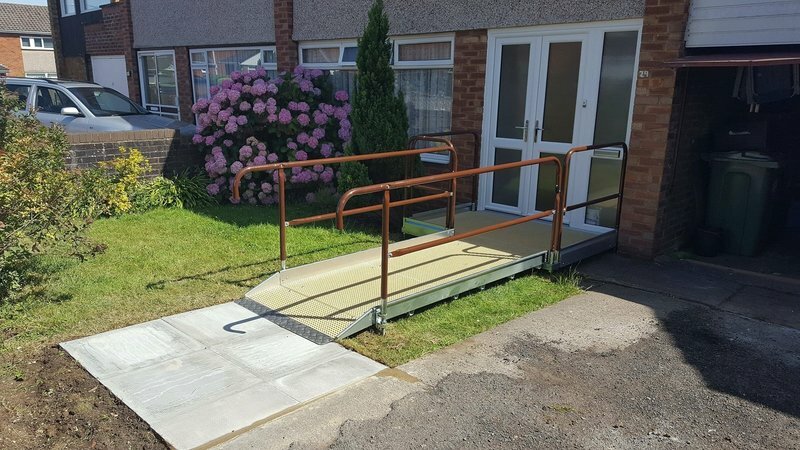 Prior to the installation of this ramp my husband was housebound, so to have this done so quickly and professionally means so much to us.